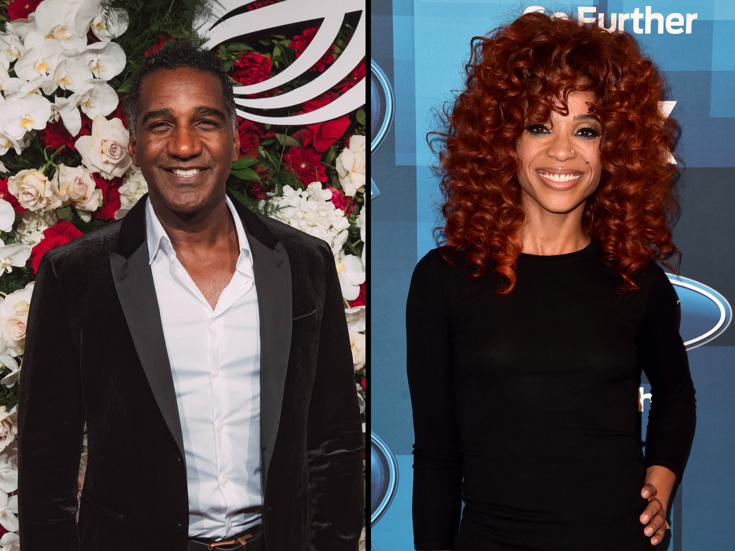 Tony nominee Norm Lewis and Broadway alum Tamyra Gray will step into the roles of Agwe and Papa Ge, respectively, in the new revival of Once On This Island on January 8, 2018. Original cast members Quentin Earl Darrington and Merle Dandridge will be taking a contractual leave from the production with a return date to be announced. Lewis earned a Tony nomination for The Gershwins' Porgy and Bess. His other Broadway credits include The Phantom of the Opera, Miss Saigon, The Wild Party, Side Show and The Little Mermaid. Gray returns to the Great White Way following turns in Rent and Bombay Dreams. She finished fourth place on season one of the reality competition show American Idol. Michael Arden directs and Camille A. Brown choreographs the first revival of Lynn Ahrens and Stephen Flaherty's Once On This Island, which began previews on November 9 and opened on December 3. The show's cast also includes Broadway.com vlogger Hailey Kilgore, Isaac Powell, Tony winner Lea Salonga, Tony nominee Phillip Boykin, Alex Newell, Alysha Deslorieux, David Jennings, Kenita R. Miller, Darlesia Cearcy, Rodrick Covington, Cassondra James, Grasan Kingsberry, Tyler Hardwick, Loren Lott, T. Oliver Reid, Aurelia Williams, Emerson Davis and Mia Williamson. Once On This Island follows Ti Moune (Kilgore), a peasant girl in the Antilles who falls in love with Daniel (Powell), a young man she saves from a car crash. When he returns to his wealthy family on the other side of the island, four gods: Mother of the Earth Asaka (Newell), God of Water Agwé (Lewis), Goddess of Love Erzulie (Salonga) and Demon of Death Papa Ge (Gray), guide Ti Mourne through a test of her love against prejudice and hate.